Soooo today I wanted to share a styling post & video and this is going to be the first of my recent obsession which are head wraps/scarves! Use them as a protective style by leaving my hair alone. Now I will state I am NOT an expert, at all! However, I have been having fun experimenting and just trying different styles. I always thought “I couldn’t pull off these styles” because in my mind I thought certain faces work best with wraps and that it would be difficult to style however, if I can pull them off so can you! I am blessed to be surrounded by a ton of fabric shops, literally every district, town, city here has a TON of fabric shops so I either get them by the meter or I will just pick up some scarves from shops e.g. H&M, Mango, Forever 21 and other local shops too. Apart from using a wrap because it is pretty, you can use them as a protective style when you don’t want to do your hair, if you are having a “bad hair day” (whatever that means) or perhaps if you are doing a Deep Condition and have to run out the house (yes I have done that!)! I would love to hear what you think! If you do wraps please let me know and perhaps provide me with some inspiration for new styles! 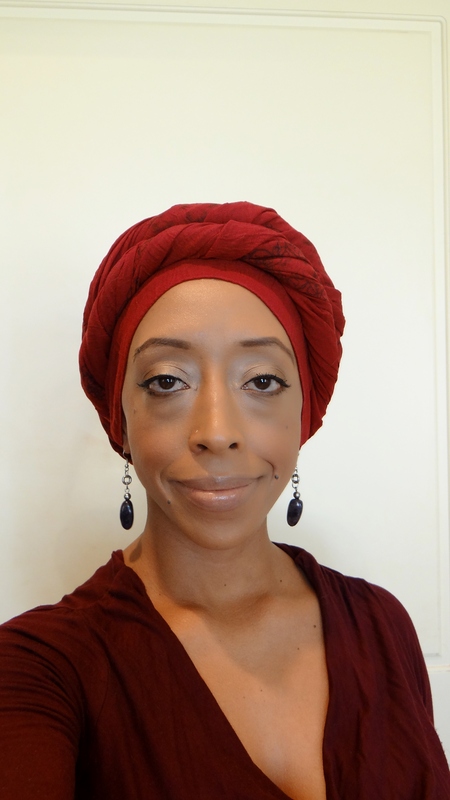 This entry was posted in Head Scarves, Head Wraps, Protective Head Scarves, Protective Head Wrap, Protective Style and tagged Head Scarves, Head Wraps, how to protect natural hair with a head scarf, how to protect natural hair with a head wrap, how to tie a head scarf, How to tie a head wrap, natural hair, naturalista, Protective Head Scarves, Protective Head Wrap, protective style head scarf, protective style head wrap, protective style with head scarves, Protective style with head wrap, Protective Styles, team natural on April 24, 2015 by Maicurls.